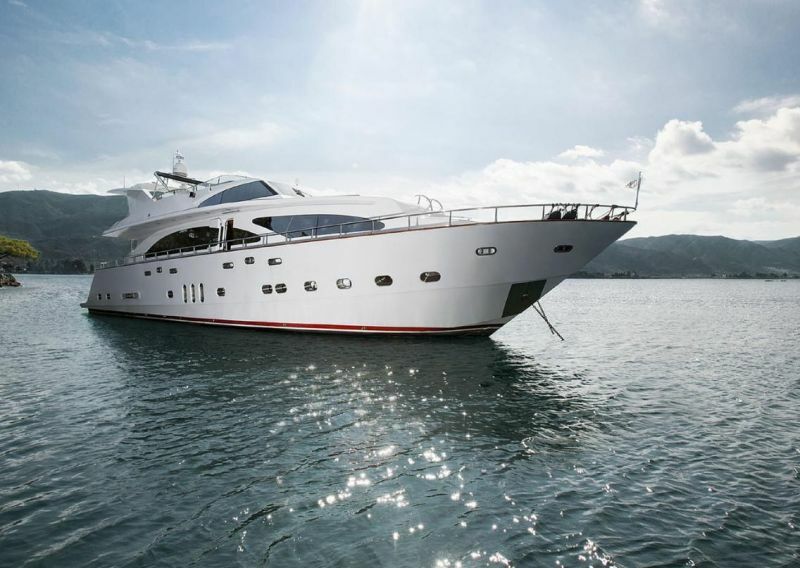 Motor Yacht ELEGAN 93, specifically designed for luxury cruising, is a modern charter yacht that assures safe, smooth and comfortable traveling, courtesy of her solid and seaworthy hull. 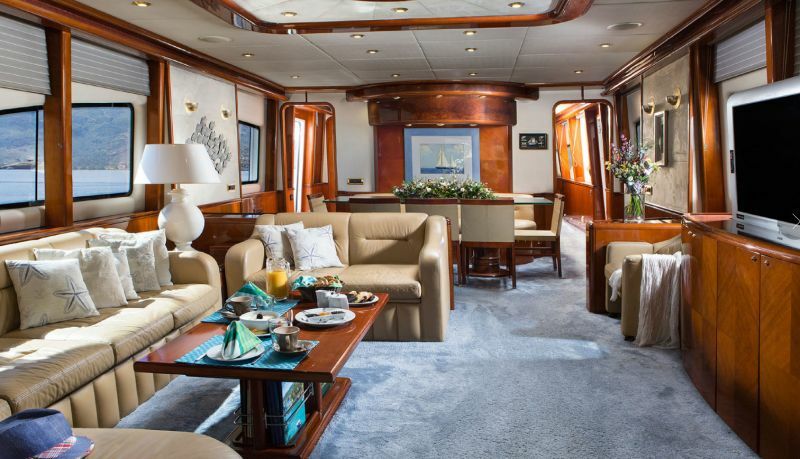 Built in 2007 by Elegan Yachts (Refit: 2015), she offers a traditionally styled interior with a beautiful, luxurious Rosewood finish. 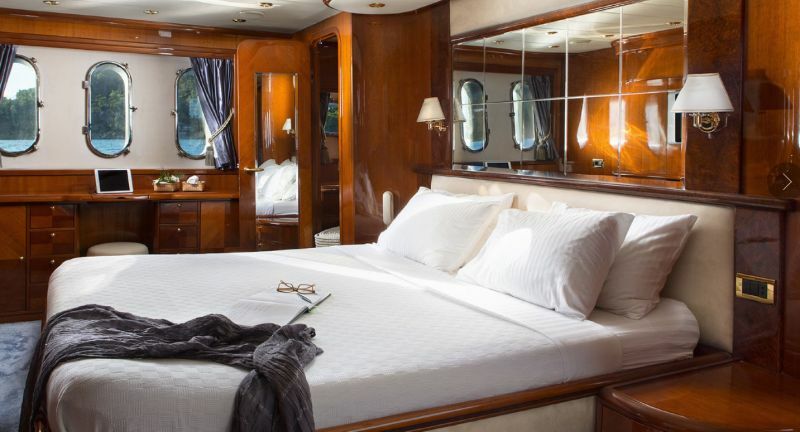 She has a lush ambiance of warm, classic coziness, combined with all modern comforts such as a Spa Pool, Jacuzzi tub, a variety of dining options, a range of water toys and an impressive Bar area on the flybridge. 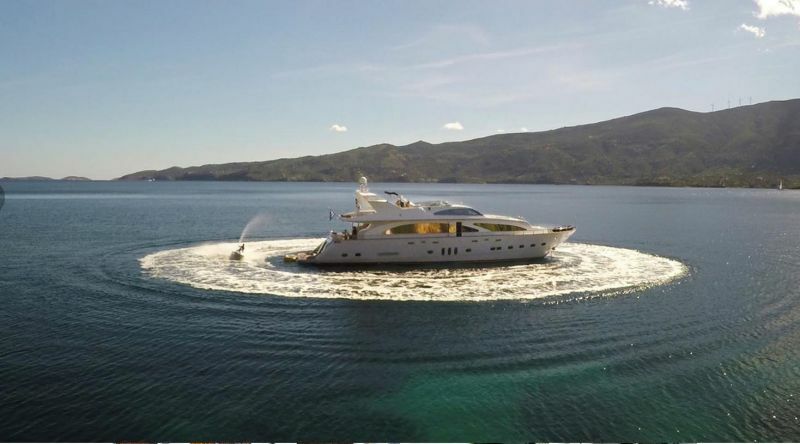 At 28 meters, the yacht comfortably sleeps 10 guests in five luxury suites. The full beam Master Suite, with its broad bathroom, comes with ample space and a Jacuzzi. 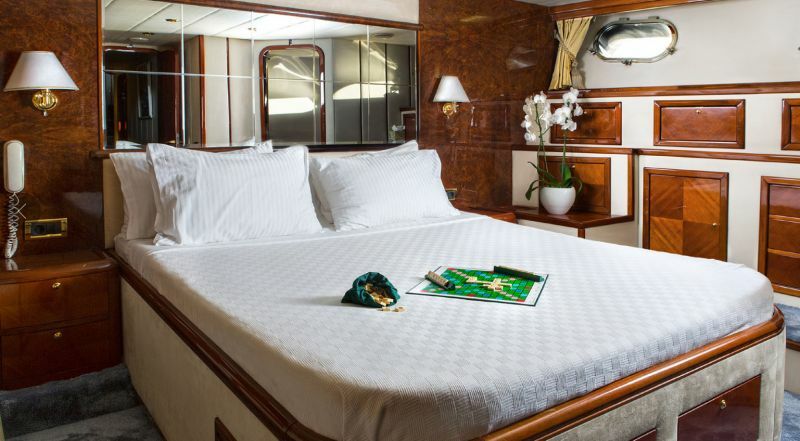 The spacious VIP Suite has a queen size bed and the Double Cabin is conveniently located on the Main Deck, all fitted with walk-in wardrobes. 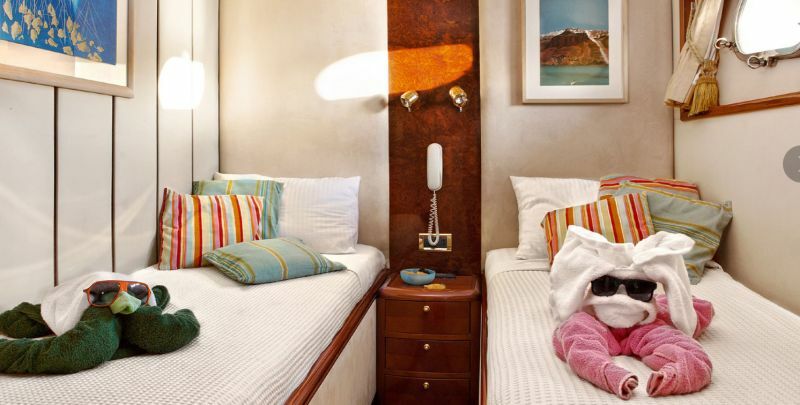 Two Twin Cabins completes the flexible selection of guest accommodations, all cabins having an en suite with shower/spa facilities, and ample storage space. 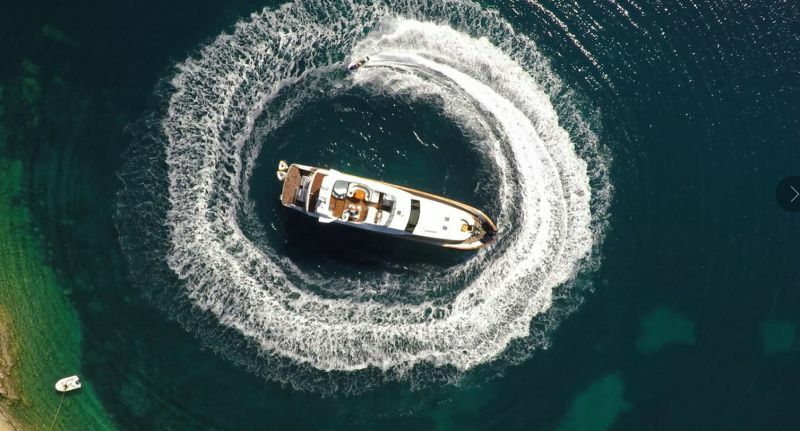 Highlights: the spacious and panoramic flybridge, equipped with a spa pool, a grill and a bar area, offers formal dining for all guests. 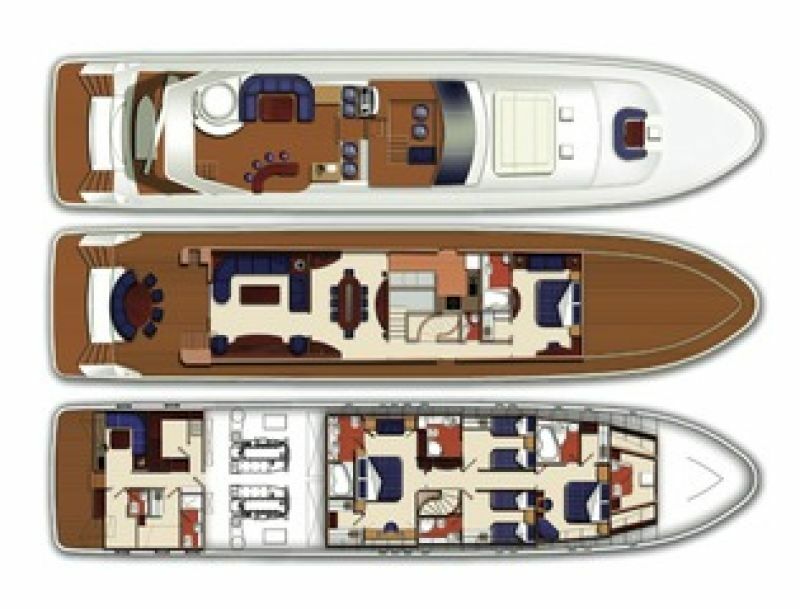 The generous foredeck has a wonderfully private seating and dining area, framed with stunning vista views, and a large sun pad. 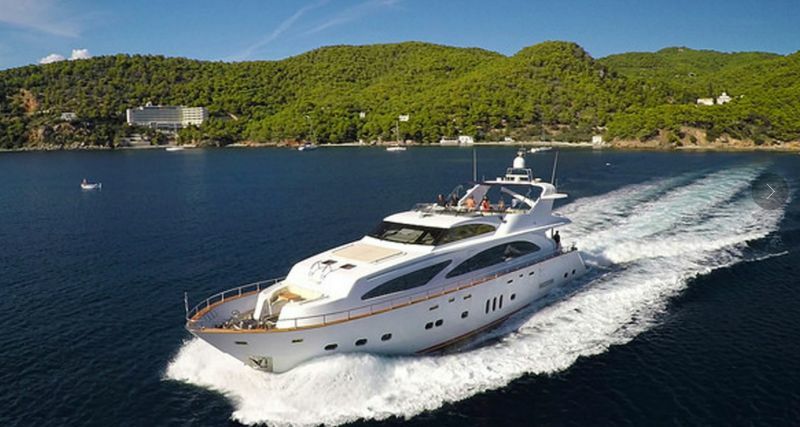 The dedicated, professional and very friendly crew of 6 perfectly prepare and serve delicious Mediterranean cuisine, while the onboard wine cellar and cigar humidor are just some of the many finishing touches that make life onboard an exquisitely refined and unique experience.